The current flag of Sudan was adopted following the 1969 military coup of Gaafar Nimeiry- prior to that, they had a blue-yellow-green horizontal tricolor that they used for a flag. 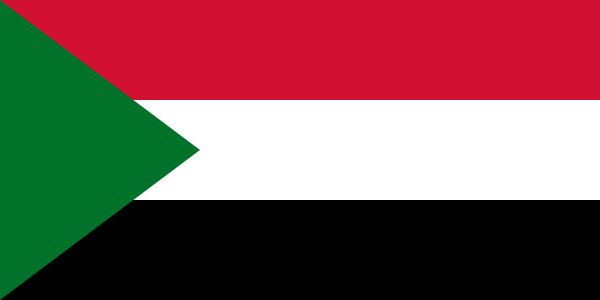 The current flag is based off of the Arab Liberation Flag, elements of which can be seen on the flags of Egypt, Iraq, Syria, Yemen and the flag of Palestine- the latter of which is almost entirely identical to the flag of Sudan except their 'triangle' is red and the stripe sequence is black-white-green. The red in the flag represents the struggle for independence and the country's martyrs. The white stands for peace, light and optimism- but it also stands for the White Flag League which was a nationalist group that opposed colonial rule in 1924. The black stands for Sudan (in Arabic, 'Sudan' means black, which I didn't know!) It also represents the black flag of the nationalists who fought in the Mahdist Revolution in the 19th Century. Green stands for Islam, agriculture and the prosperity of the land. The most interesting thing about the flag of South Sudan is that it's older than the country itself: it has been around since 2005, but wasn't officially adopted until the Comprehensive Peace Agreement was signed that ended the Second Sudanese Civil War and paved the way for the independence of the country in 2011. The south has always been predominantly Christian in Sudan, which makes for an interesting but important differentiation between the two flags. While you can see pan-Arab colors and the stripe sequence seen in Egypt's flag on Sudan's flag- South Sudan's colors are more pan-African and their stripe sequence is seen in Kenya's flag. 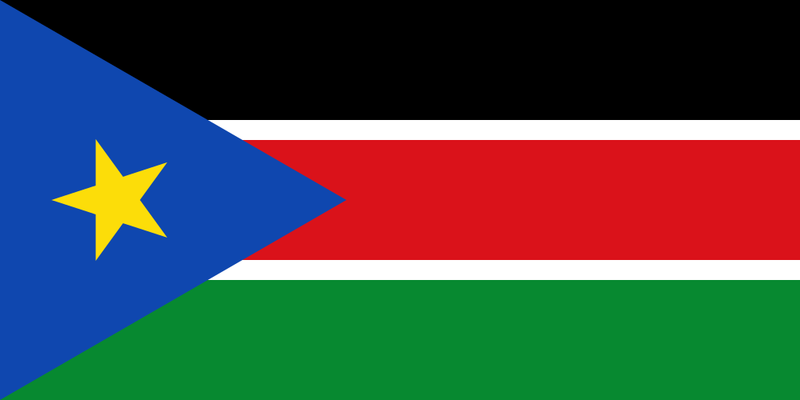 The black in the flag stands for the people of South Sudan. Red is for the blood shed for the independence of the country. Green is for the agricultural and natural wealth, land as well as progress. White stands for the peace attained after years of the liberation struggle. Blue stands for the waters of the Nile River and yellow is for the unity, hope and determination of all people. So there you have it... the flags of two Sudans. They similarities and differences between the two are subtle, but incredibly important when you jump into the history of the two countries. Until next time, keep your flags flying- FREAK or otherwise!